In store receive 10% off 100 and 20% off multiples of 100 of the same bag. ~ Meets ASTM D5511 standard for plastic. REUSE THESE BAGS UNTIL THEY BREAK, THEM COMPOST THEM! Whenever possible, use a durable container. If you need plastic, reuse a bag, If you need a food grade, reclosable bag, choose these biodgradable bags. Every part of the bag is biodegradable - film material, zipper material - EVERYTHING. 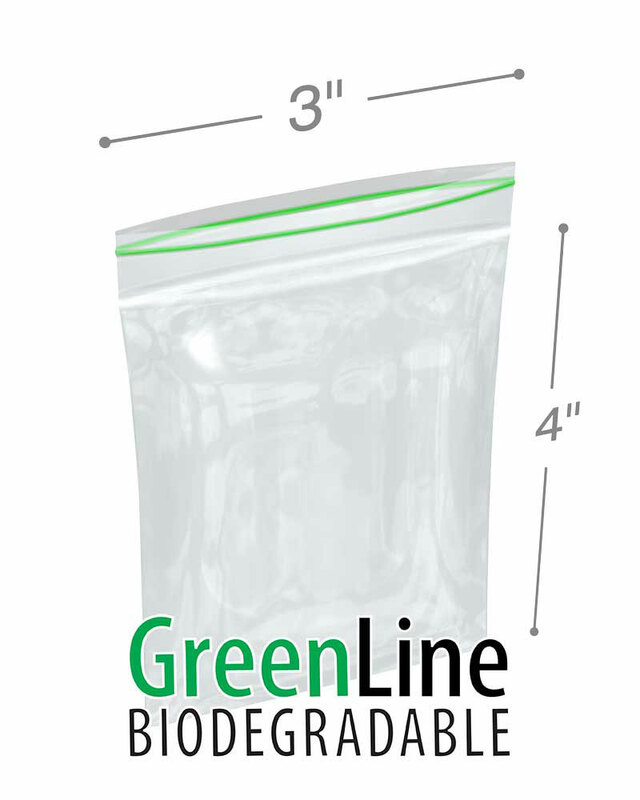 Same great performance of a Red Line™ Bag - but biodegradable. Made of low-density polyethylene (LDPE). LDPE has good chemical resistance, high impact strength, and strong wear absorption. LDPE can hold your food products without leaching any harmful materials or allowing microorganisms to permeate. WE SUGGEST THAT YOU USE PLASTICS ONLY WHEN PACKING DRY GOODS. USE GLASS FOR WET, ACIDIC AND OILY FOODS ESPECIALLY! 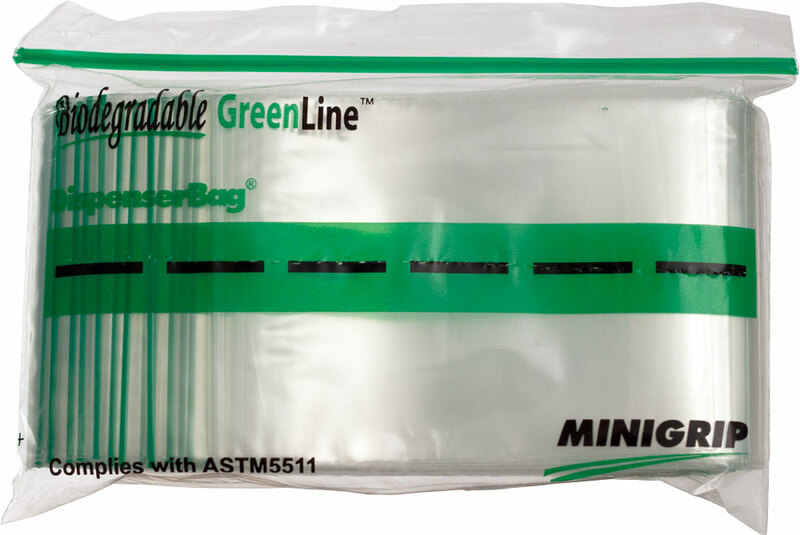 NEW GreenLine™ Reclosable Zipper Bags are ASTM D5511 tested to be biodegradable and offer the same great zip lock performance as traditional ziplock bags. Tested to biodegrade 15% within one year per ASTM D5511 test results! About "ASTM" 5511: Over the past decade, there has been increased focus on developing more earth-friendly, degradable products. Standards were developed to test the biodegradability of these products. Standard ASTM D5511 is a standard for testing and proving the biodegradation of plastic materials under anaerobic landfill conditions.